THE superlatives were flowing yet again after last weekend’s games as Ireland (and further afield) fawned over a wonderful display of hurling over 180-odd minutes, producing 130 scores and countless moments of sublime skill, the pick of which has to have been Nicky Quaid’s interception on Seamus Harnedy in the 73rd minute of the Cork-Limerick game. It’s not surprising that that moment was chosen by Sports Illustrated magazine as their moment of the weekend. But rather than me adding to the adulation, let’s just look ahead to who’s going to win the Galway-Clare replay. First a quick word on Cork who have now reached just one All-Ireland final in 12 seasons and have not won the MacCarthy Cup since 2005. 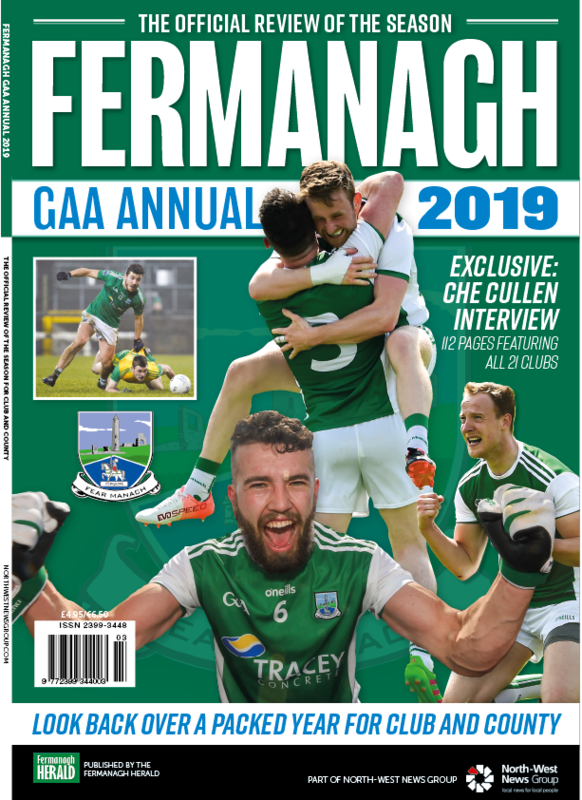 Bragging rights from back to back Munster titles isn’t going to appease too many Leesiders, particularly if they watch Limerick or Clare lift the big one in a few weeks’ time. With the new format, more so than ever, winning the MacCarthy Cup is a squad pursuit. Cork brought two players back on, played with an injured player for most of extra time. They are just short that two or three players, particularly a big, ball winning forward that they can rely on to carry a goal threat for 70 minutes. Sunday’s replay is happening due to one key switch by the Clare management. Having got off to a poor start, Colm Galvin was moved into the sweeper role after the opening quarter. Had that switch not been made, or had they waited much longer to make it, we’d now be looking for tickets for a Galway-Limerick final. At that stage, Jonathan Glynn, Cathal Mannion, Joe Canning and Conor Cooney were all seeing plenty of the ball in the Galway forward line. It would be amazing of Galvin doesn’t start in the dedicated sweeper role on Sunday as Clare try to avoid another bad start. Galvin’s influence also allowed Tony Kelly to come into the game. Kelly hasn’t reached the heights of 2013 but he showed great leadership when Clare needed it on Saturday. That’s the first poser for Galway manager Micheál Donoghue – how to counteract Galvin; it was an unexpected role for Galvin to play and his influence on the game was enhanced by his superb use of the ball, particularly as supplier to Kelly who had his best game in a Clare shirt since their All-Ireland win. Of the two management teams, I’d rather be in the Clare corner for the replay. They have more to work on and more options to change their style of play. Galway, with their injuries mounting up, have less capacity to do so. 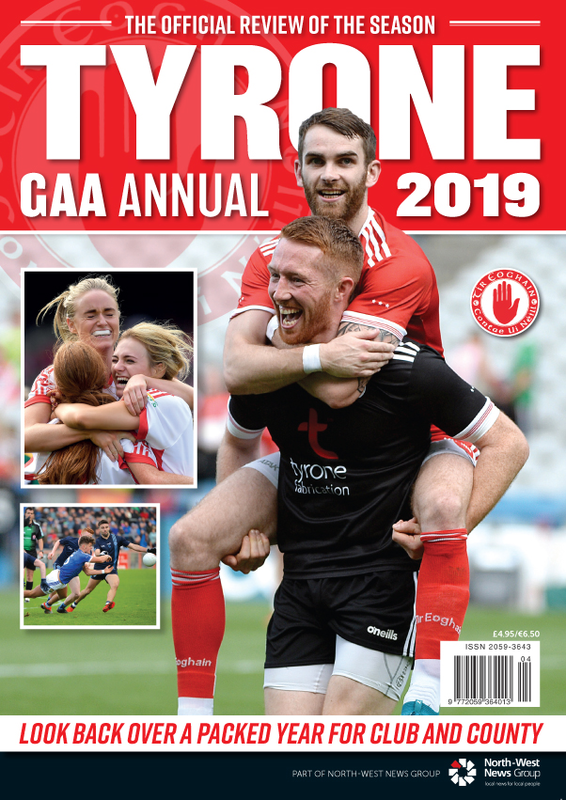 Daithi Burke looked as if he was carrying an injury into the drawn game and Clare on a number of occasions made hay from isolating John Conlon on him. The Banner also know that goalkeeper Adrian Tuohy’s puckouts in the opening quarter contributed massively to the 1-9 to 0-1 lead built up by Galway. The keeper didn’t change things massively after that but he just seemed to settle down, and to his credit, find a bit of confidence from somewhere. I don’t know whether Tuohy was suffering from nerves in the opening quarter but he certainly will be more settled on Sunday in the more familiar surroundings of Thurles. What would concern me from a Galway point of view is that they don’t look as if they can greatly change their style of play. 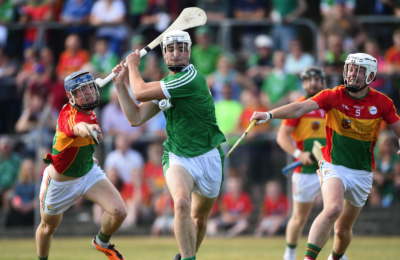 They have plenty of big, physical yet skilful hurlers – but they looked very one dimensional last week. 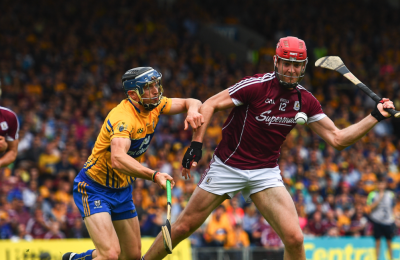 The long ball on top of ball winning forwards has harvested enough scores for Galway to win an All-Ireland but the issue for Galway this weekend is that the 2-7 defensive unit – which does not have the strength in depth of their forwards – is carrying another dent. Whether Gearoid McInerney plays or not will be an 11th hour decision. 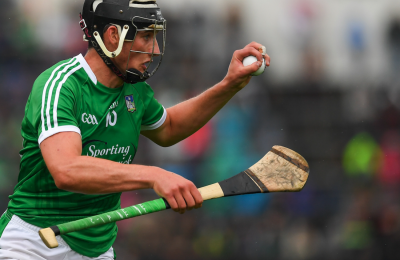 Donoghue has a ready-made solution in Padraig Mannion coming in to centre half back and bringing in either Paul Killeen or Sean Loftus to start on the wing – but neither offers the physical presence of McInerney. 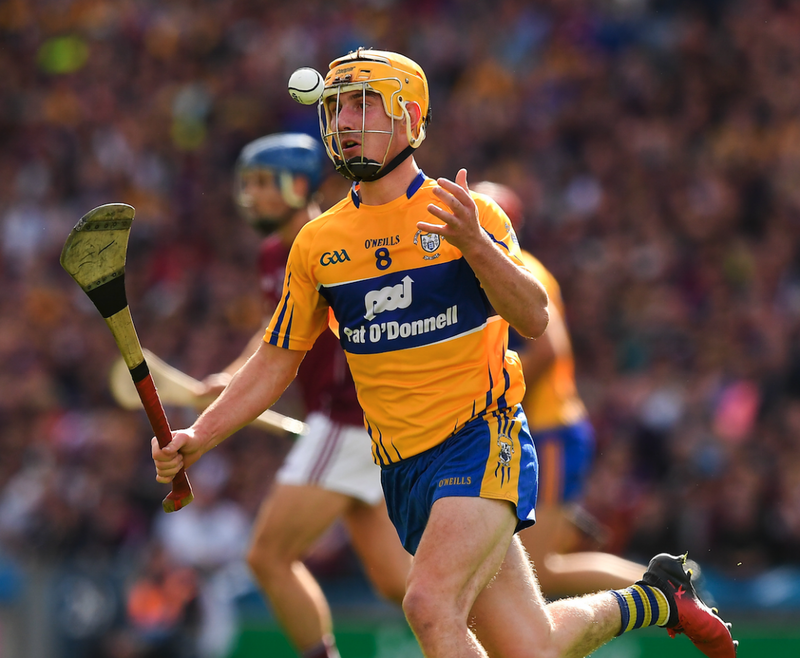 Whether it was due to a not-100-per-cent fit Daithi Burke last week, or simply having supreme confidence in themselves to outscore the opposition, Galway did seem reluctant to push up on the Clare backs. Galvin in particular used the space to pick out some great short passes and set up Kelly and John Conlon. But crucially for them – and I think this is what gives Clare the edge for the replay – that wasn’t the only launching pad for their scores. They played long ball into Conlon with some success, they brought on Davy Fitzgerald who ran at the Galway defence, and they also played a short passing from their own half, growing in confidence as the game went on. 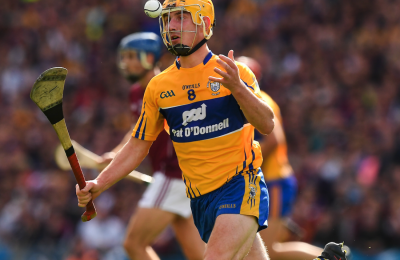 Clare brought Galvin – who was playing the sweeper role to perfection – back into midfield in extra time looking for the winning score and it was him who set up Aron Shanagher for the goal in extra time. 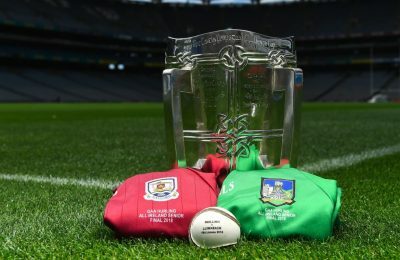 Galway are unbeaten in almost two years of championship hurling and are bookies’ favourites to maintain that record but I fancy a bit of an upset at Thurles on Sunday; I think Galway look tired, I think Clare are the side going into the game with the spring in their step and will be full of confidence from the throw-in this time round; Clare by two.